Our talented and dedicated staff have an average industry tenure of 25 years. We arrange ocean and air shipments from our Baltimore HQ from any overseas origin to any destination in the United States. We provide reliable and creative solutions for our clients and overseas partners. We have ocean service contracts with all major carriers covering all trade lanes. We can provide door to door turnkey service by air and sea to any destination worldwide. We have a strong global network of agents that are country specific providing any service needed. We are also an NVOCC. Our project cargo expertise is the niche we thrive on. We belong to 2 Global Project Cargo Networks that give us access to experts around the world. We can deliver heavy, long, wide and tall machinery and equipment anywhere in the USA and around the world. 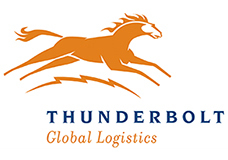 Thunderbolt Global Logistics is an international freight forwarder, customs broker and NVOCC based in Baltimore, Maryland. We are a C-TPAT certified company. We have an experienced staff that can navigate the complex world of international and domestic transportation. We provide import and export clearance services. We take great pride in our ability to negotiate letters of credit for our export clients. We review all letters of credit before a shipment leaves your facility. The bottom line is that we get our export clients paid. We know all the right people and possess all the right certifications to get your shipment from anywhere to any there. We’ve been there. We’ve done that. And we can do it for you. We have contracts with most major carriers and consolidators which enables us to provide our clients comprehensive coverage and choices. We’re fully equipped to handle any international shipment, whether a single pallet or an out of gauge piece, including the ability to charter an aircraft when necessary. We understand and know how to transport freight whether it’s needing a 19 axle truck or a simple LCL shipment. From containers to break-bulk, we know how to transport your cargo from point A to point B. We also can provide inter-modal service.